Together we can chart the course for the relaxing days ahead. What does retirement mean to you? Whether you’re looking forward to some well-earned leisure, travel, indulgence in hobbies or even starting a new career, BCU Wealth Advisors* will help you grow and protect your wealth, making it easier to plan for a more secure retirement. Once we understand your goals, we'll examine the potential impact of various courses of action, such as different spending or savings levels, delaying retirement, varying asset allocations, gifts to family or charity, and even career choices. You’ll learn what it will take to meet your preferences. You may find that you can easily achieve your goals, or you might see that you need to take extra steps, such as working a little longer or trimming some expenses. Next, we’ll develop a customized plan for the retirement you want. We’ll help identify your funding resources, develop a savings plan and tailor your investments to help produce the levels of income required to support your lifestyle. We’ll also help you to understand which of your assets are best to spend first in retirement and the associated tax consequences. Then, we’ll continue to monitor your investments to ensure they stay aligned with your needs, goals and market conditions. It's easy to start achieving your financial goals. Contact us online or call 847-932-8007 to schedule an appointment with your BCU Wealth Advisors* team! "Shared branches provide access anywhere." Get helpful shopping tips and learn how to set a holiday budget you won’t bust. All references to BCU Wealth Advisors will mean BCU Wealth Advisors, LLC, a wholly-owned subsidiary of BCU. Investment advisory services are offered through BCU Wealth Advisors, LLC; an investment advisor registered with the United State Securities and Exchange Commission and domiciled in the State of Illinois. 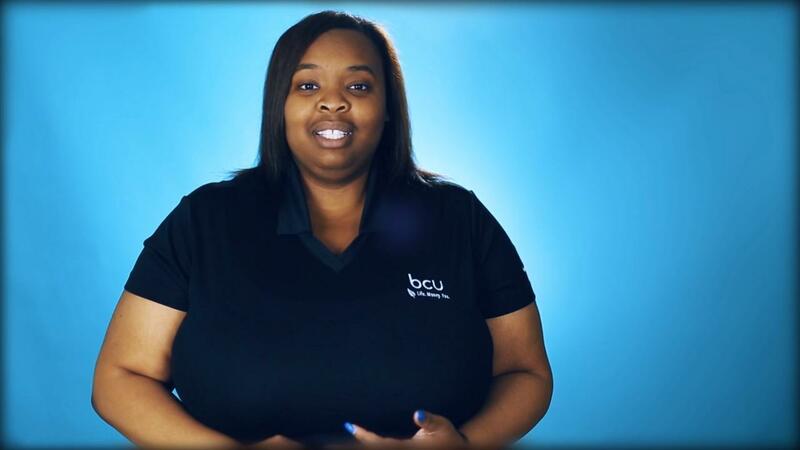 Advisory services and recommended securities offered by BCU Wealth Advisors, LLC are not NCUA/NCUSIF or otherwise federally insured, are not guarantees or obligations of the credit union, and may involve investment risk including possible loss of principal. This website is not to be directly or indirectly interpreted as a solicitation of investment advisory services to residents of another jurisdiction unless the firm is notice-filed, registered or is eligible for exemption from notice-filing or registration in that jurisdiction. Non-deposit investment products and services offered through CUSO Financial Services, L.P. ("CFS"), a registered broker-dealer (Member FINRA / SIPC) and SEC Registered Investment Advisor. Products offered through CFS: are not NCUA/NCUSIF or otherwise federally insured, are not guarantees or obligations of the credit union, and may involve investment risk including possible loss of principal. Investment Representatives are registered through CFS. Baxter Credit Union has contracted with CFS to make non-deposit investment products and services available to credit union members. BCU Investment Advisors is a trade name for the investment services available at BCU. Financial Advisors are registered to conduct securities business and licensed to conduct insurance business in limited states. Response to, or contact with, residents of other states will be made only upon compliance with applicable licensing and registration requirements. The information in this website is for U.S. residents only and does not constitute an offer to sell, or a solicitation of an offer to purchase brokerage services to persons outside of the United States. The contents of this webpage are not to be copied, quoted, excerpted or distributed without express written permission of the firm. Nothing on this webpage is intended as legal, accounting, or tax advice, and is for informational purposes only.